Only one day after winning a Readers’ Choice Award as Lexington’s Favorite Auto Repair Service, Lowell’s has also been named Lexington’s first and only RepairPal Certified repair shop. RepairPal is an online service designed “to provide drivers with the most accurate, unbiased, and useful car ownership information available”. In other words, RepairPal helps consumers find the very best automotive service. 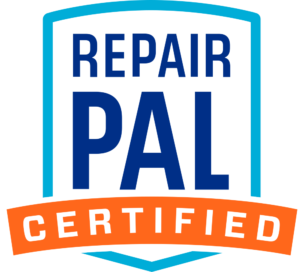 The RepairPal Certified designation means that we meet or exceed RepairPal’s rigorous standards for customer satisfaction, employee training, fair prices, and quality work. You can read RepairPal’s profile of Lowell’s to learn more. Lowell’s received a 95.8% overall rating on the RepairPal Quality Index. We’re honored and humbled by this recognition, and we’ll work diligently to earn your continued trust and respect.